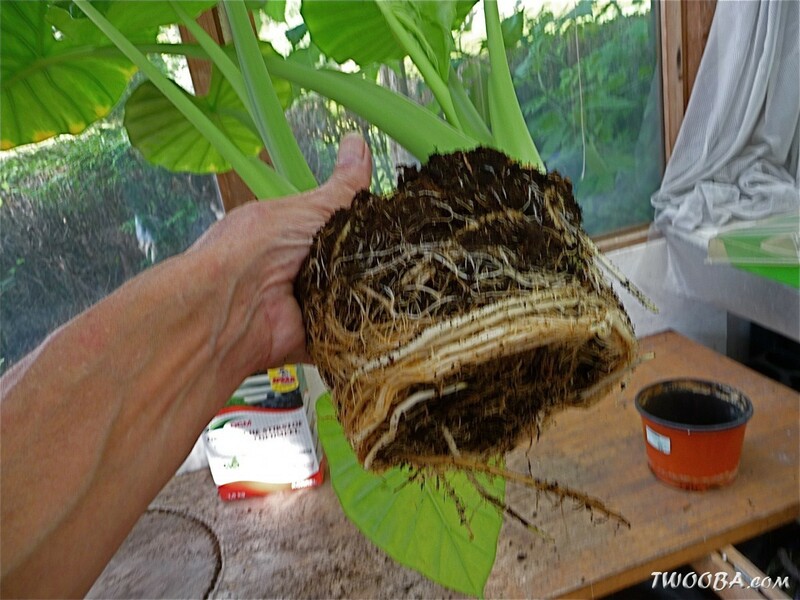 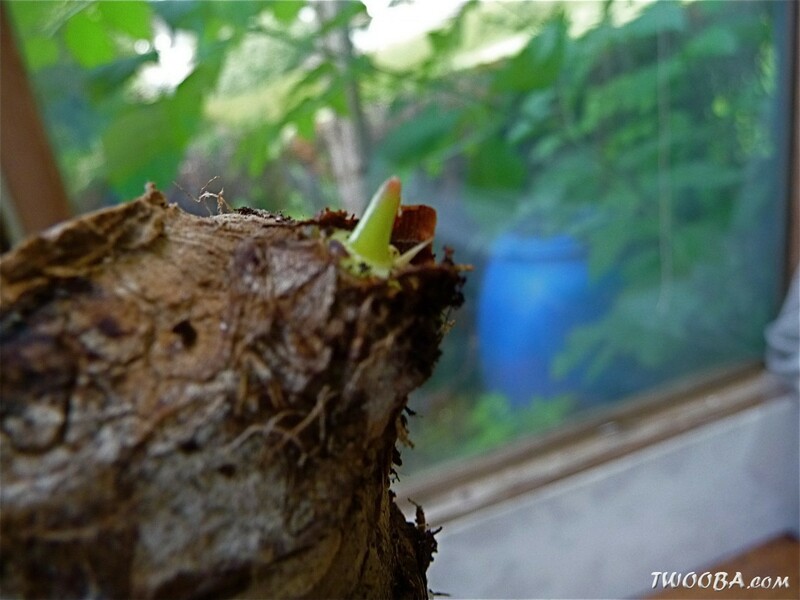 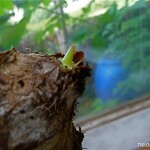 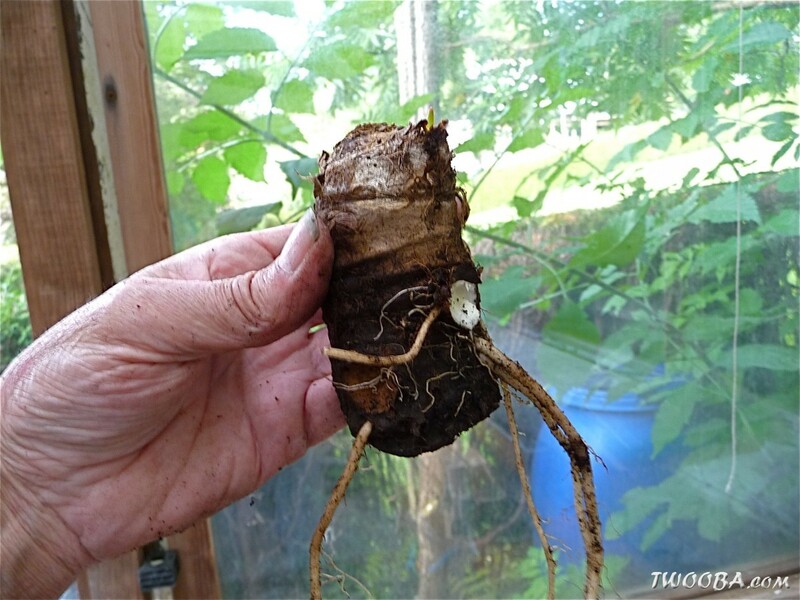 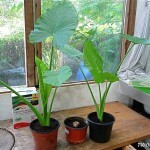 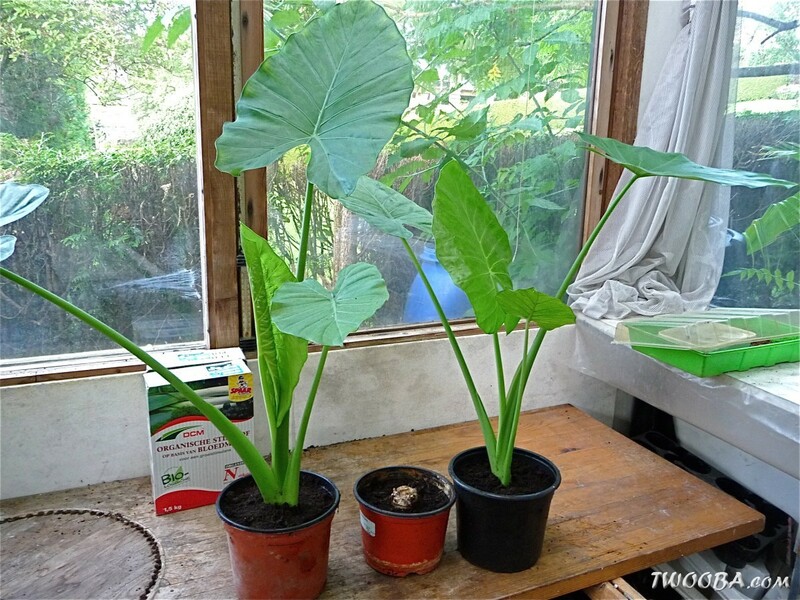 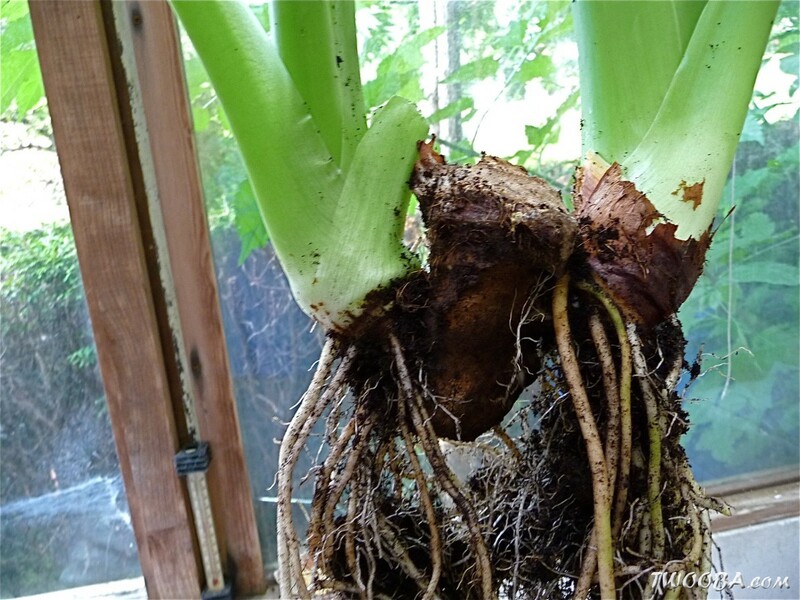 In this article, a Dutch hobbyist Eduard shows how to easily take of runners from the Alocasia (Elephants ear). 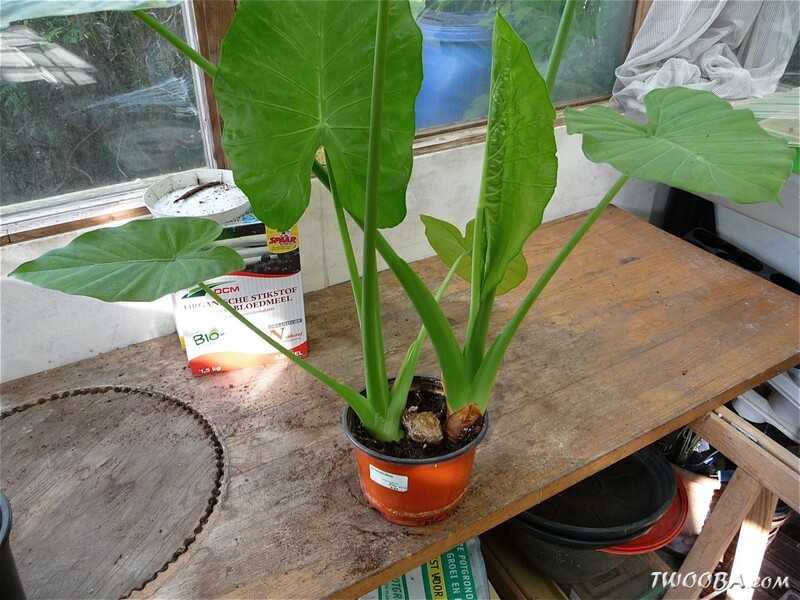 The plant used in this article is a Alocasia macrorrhiza but the method can be applied to all Alocasia species. 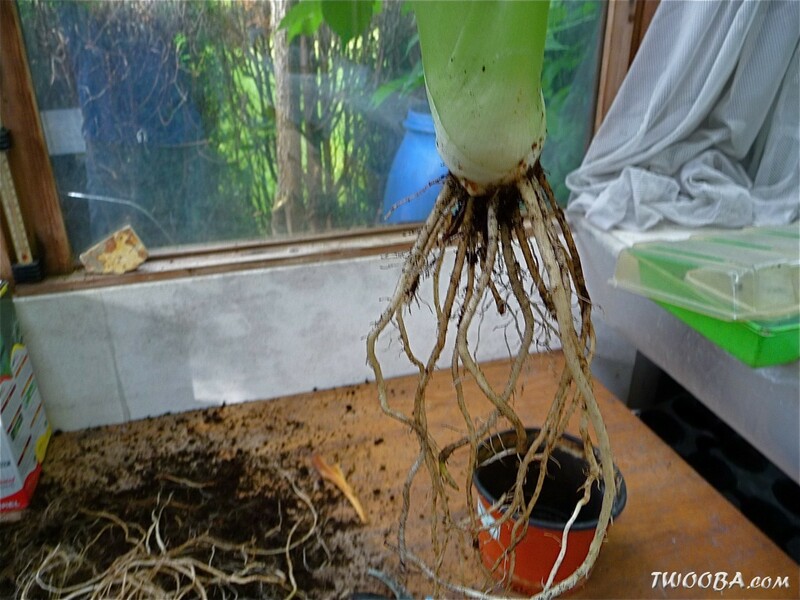 He is using this method on this plant for years now and can harvest up to 6 runners every year. 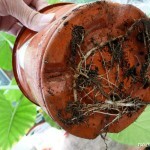 Time to separate this plantes, the roots are already growing through the drainage holes. 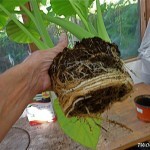 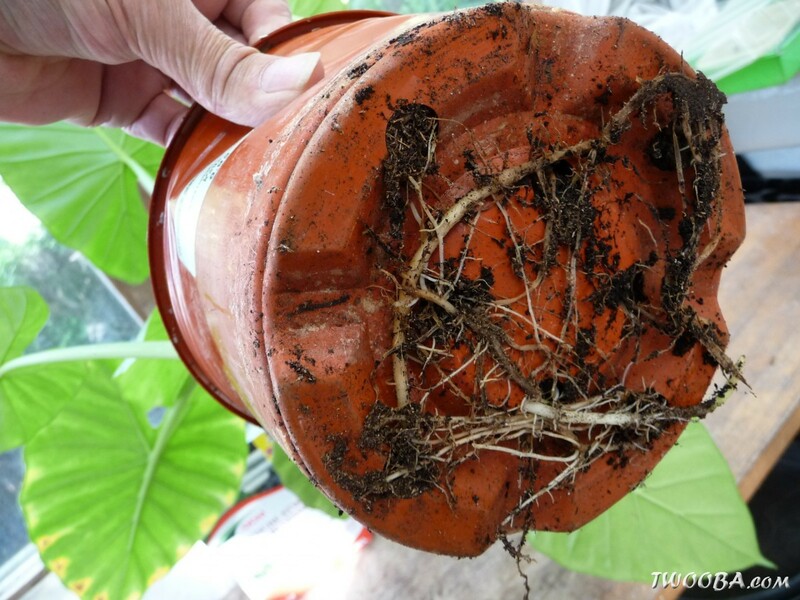 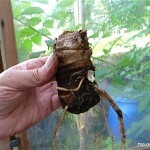 The plant is taken out of the pot and as much soil as possible is gently removed from the roots. 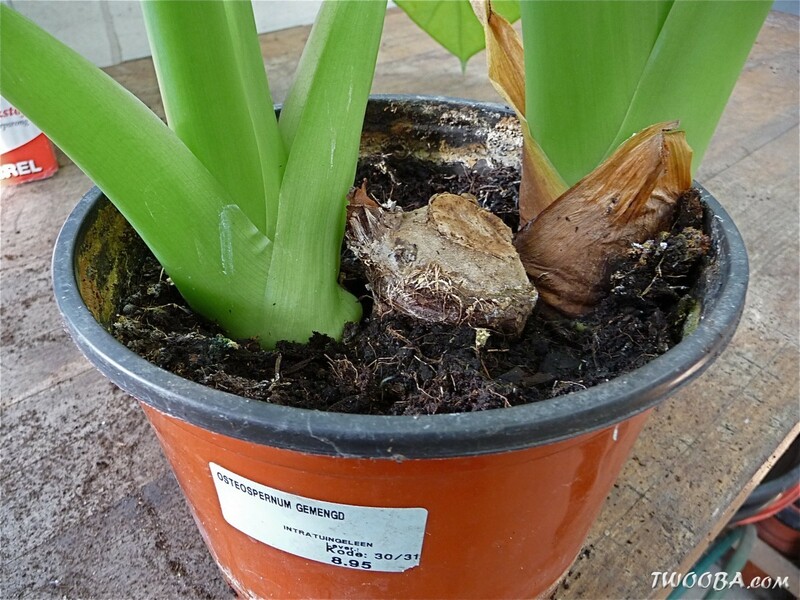 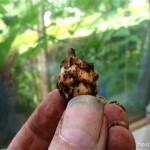 Small new plants are broken of the tubercule in the way that only the main tubercule remains. We can even see a new plant which can be taken of next time. 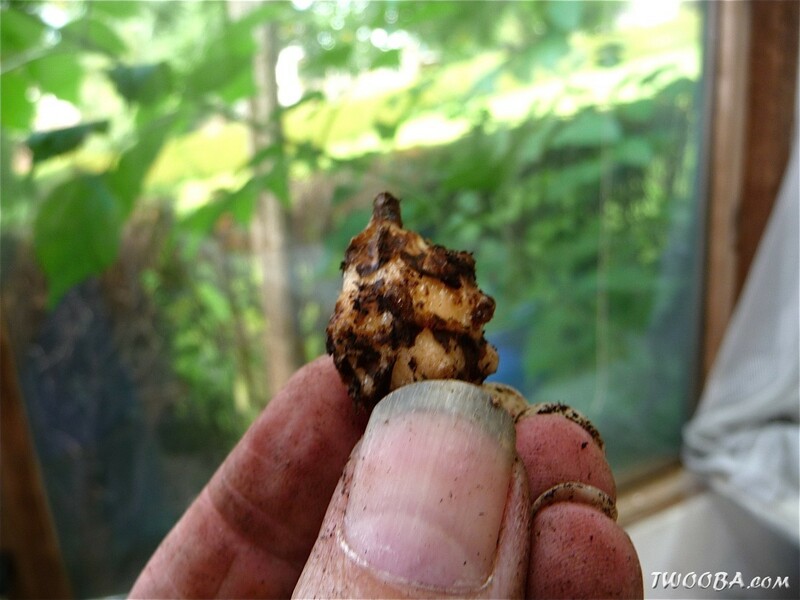 In the pot he also found some small independent tubercules. 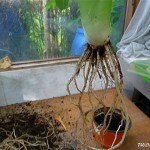 Every plant which has its own roots is potted again. 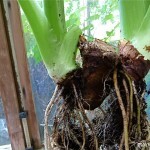 This time they had already developed a lot of roots but even with less the will survive. 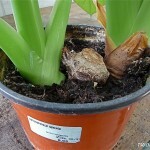 The small independent tubercules were potted into the same pot as the mother plant.